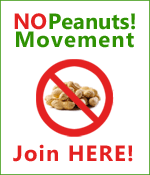 No Peanutsistas! will recall our February 18, 2014 post “Expo 2015 in Milan – La gioia di stare al ribasso! [Expo 2015 in Milan – The Joy of Undercutting the Market!] in which No Peanuts! revealed the pitiful rates translation agencies like Translated.net, Asap S.r.l., and Eurostreet were offering to translators for Expo 2015-related projects (despite the fact that the Expo’s tender for translators provides relatively generous fees to agencies themselves). We couldn’t agree more. “WHY, Milan?” is exactly the right question to be asking. This entry was posted in Press Releases, Resistance and tagged Expo 2015, Milan, Translation Agencies. Bookmark the permalink. I am a non-native, but I’m sure I could have done a better job. Appalling. Hell, I don’t even speak Italian and I could’ve done a better job. What a surprise. Nobody in Italy heeded the warnings. The outcome was expected. Brutta figura time for Italy. Pay peanuts, get monkeys who can’t translate. Wow! What a load of junk. I emailed all three addresses you included. Keep it up! Cheers. Reblogged this on The World of English.